Chapters 2–4 mainly focus on multivariable system analysis. 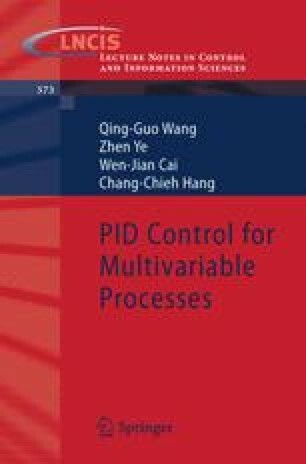 From this chapter onwards, several design methods for multi-loop/multivariable PID control are presented. Based on the loop paring criterion proposed in Chapter 2, this chapter goes further to seek a simple but effective design method for decentralized PID controllers.